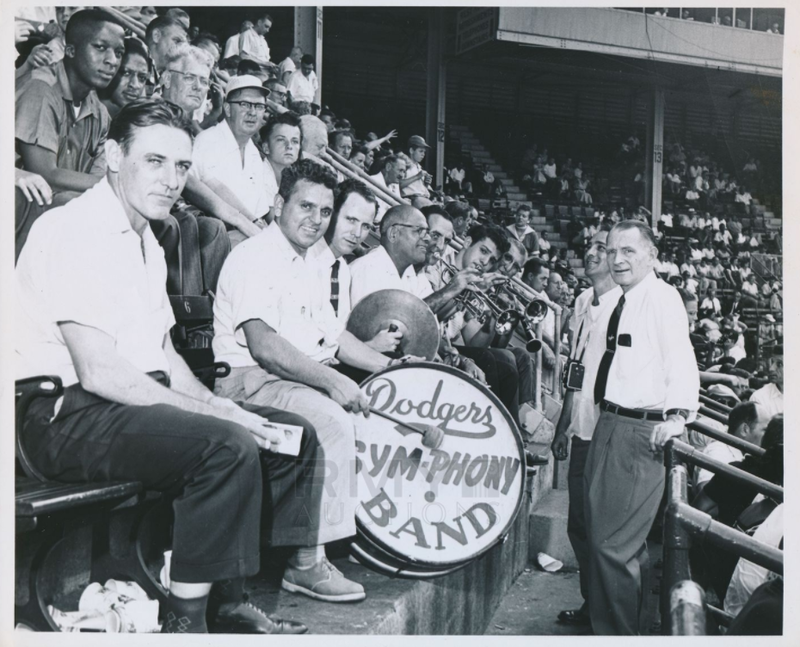 Here's another vintage photograph taken by legendary Dodgers photographer Barney Stein, circa 1949, of the Dodgers Ebbets Field "Sym-Phony Band" that is currently at auction at RMY (link here). This Day in Dodgers History: In 1987 the Dodgers and its rookie GM, Fred Claire, pulled off a trade that would play a significant part in their upcoming 1988 World Series run. They traded starter Bob Welch and Matt Young to the A's and Jack Savage to the Mats for relievers Jesse Orosco, Jay Howell and infielder Alfredo Griffin. Eric Stephen at True Blue LA put together an excellent synopsis of the events that lead to this trade (link here). In 2014 the Dodgers traded Dee Gordon, Dan Haren and Miguel Rojas to the Marlins for Austin Barnes, Chris Hatcher, Andrew Heaney and Enrique Hernandez. Happy Birthday, Frank Bell, Gene Wright, Joe Riggert, Ray Phelps, Greg Shanahan, Thomas Howard & Joe Blanton! I want to extend a big Blue Heaven congratulations to both Alan Trammel and Jack Morris for their recent election into the Baseball Hall of Fame. Sarah Wexler at Dodgers Digest writes; "5 takeaways from the Dodger Stadium pop-up museum." Via Jesse Spector at the Dealbreaker; "Dodgers Ownership Has Curious Role In Media Mega Deal." Via Glen Rosales at the Albuquerque Journal; "St. Michael’s grad moves up to Dodgers health director."